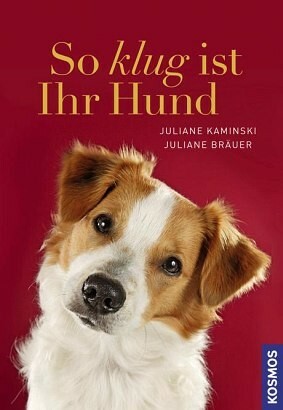 Product information "So klug ist Ihr Hund"
My dog understands every word - at least, this is what many dog owners think. The latest research shows that dogs do indeed have an extraordinary sense of how to communicate with humans. They understand gestures and know how to differentiate between toys by name. Juliane Bräuer and Juliane Kaminski are presenting the exciting results of their own research and several independent studies. They include tests dog owners will find easy to apply. Dr. Juliane Kaminski and Dr. Juliane Bräuer have received doctorate degrees in biology and are currently doing research at the Max Planck Institute of Evolutionary Anthropology in Leipzig, Germany. Dr. Juliane Kaminski und Dr. Juliane Bräuer sind promovierte Biologinnen und forschen am Max-Planck-Institut für evolutionäre Anthropologie in Leipzig.